Brodie Van Wagenen has already made quite a splash in grabbing two all-stars and trading away players who many fans believe were past their prime. While I personally do not think that Cano is the answer and acquiring Diaz is the bigger piece of the puzzle in regards to our long term needs. 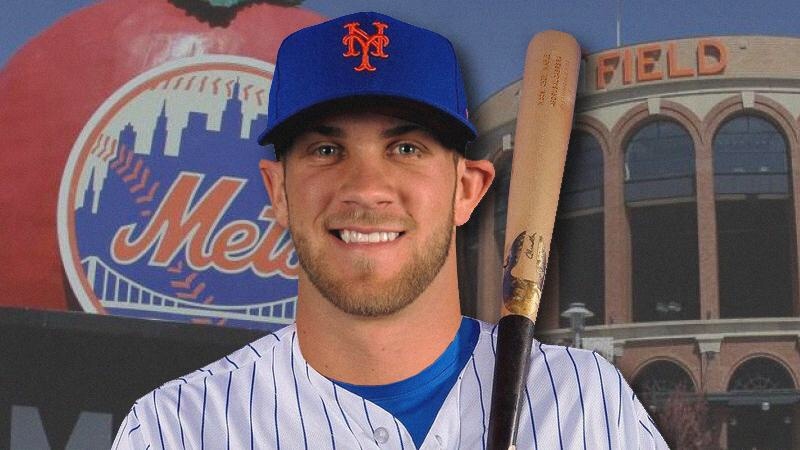 Mentioning long-term needs, Bryce Harper needs to play in Flushing, Queens. The reasoning for this is simple, we have great pitching, young talent and we only have to pay while not having to trade off any top tier prospects for him. Many people are suggesting that Harper will probably look for a contract at around $300 million over ten years. While last year he seemed to stumble, his stats show that it may have just been a fluke and a bounce back year is in 2019 is more than likely. He’s 26 years old and entering the prime of his career while already being a multiple time all star. During his career, Harper has a slash line of .279/ .388/ .512/ .900. in the spacious park in Washington D.C.
Those are the stats posted on MLB.com and he has done this playing in a pitchers park 81 games a season. Harper, a young and very established feared hitter, is the piece of the puzzle the Mets need to go out and pay top dollar for. Yes, $30 million per season is a lot of money and yet the upside could be incredible. Imagine Harper and Cespedes in the same line up as Conforto and Nimmo. Harper has also said that he is open to moving to first base if it will help the team that he signs with. Lets just dream for a moment and think of this as the top of the line-up. And then fill in the rest for now. This would be an amazing top 5 lineup for any team so why not our beloved Mets? Lets see how far BVW is willing to go, and the catcher he decides to go with. Yes fellow Mets fans, I have hopes and dreams. Next Can Cespedes help Puig? In thi kind lineup prefer I Machado at 3rd. What happen to Mc Neil… he is good! still a Met? Nimmo lf Lowerie 3b Cano 2b Harper rf Forto cf Ramos c Alonso 1b Rosario ss Cespedes dh ? ?